Here at Little Darlings Early Development Centre we aim to provide an early learning environment which supports the individual needs of each child. Our center prides itself in providing a warm, welcoming and safe environment which promotes resilience and respect while building strong positive relationships. We endeavor to work as a team with parents respecting their individual and family values making our center an extension of their home. Our dedicated staff and supportive management team offer an environment which teaches the children acceptance of diversity, developing friendships whilst encouraging their evolving independence through self-help skills. At Little Darlings Early Development Centre, we offer flexible routines which creates an environment which promotes endless learning opportunities to stimulate creativity and problem solving, both spontaneous and planned. Care is provided for Children from 6 weeks to 12 years including before and after school care. Full care is provided from Monday to Friday from 6:15am to 6:15 pm. We are open 52 weeks of the year, except public holidays. The heart of our learning program is built on the principals of the Early Years Learning Framework :- Belonging, Being, Becoming. Our vision at Little Darlings Early Development Centre is to provide a rich learning environment which is welcoming and safe to all children, families and the community, whilst supporting the individual needs of each child promoting resilience and respect in an inclusive early learning environment. 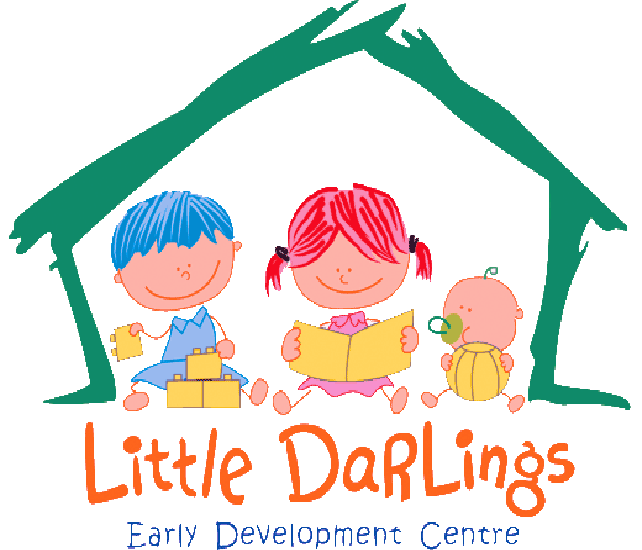 At Little Darlings Early Development centre, we treat all children with respect providing them with a warm, secure, safe and nurturing environment which promotes strong positive relationships. We will provide an environment where our staff will work in partnership with parents respecting their individual and families own culture value’s, making our centre an extension of their home. With our commitment to the United Nations Convention on the rights of the child as well as the National Quality Standard, our centre will ensure the safety and promote every child’s wellbeing, as well as protect the children from harm and respect their dignity striving to provide quality care. We believe that children are capable and competent learners. The heart of our learning program is built on the principles of the Early Years Learning Framework (EYLF) :- Belonging, Being and Becoming. We believe that our curriculum is based on the children’s interests and ideas with a focus on providing play based learning experiences where the children are able to be creative, imaginative and have the flexibility to explore and control their own learning. We aim to provide an environment which promotes each child to value themselves as unique and valued contributors to our community. All children will be treated equally regardless of varied circumstances, abilities, language or culture. All staff will ensure that they are promoting and creating learning spaces which encourage respect for diversity and modelling positive attitudes towards these. We encourage parent input in creating these learning spaces. At Little Darlings Early Development Centre, we respect the diversity of families and communities to foster children’s motivation to learn and to reinforce children’s sense of themselves as a competent learner. We will ensure that the link between staff and parents is very open and we encourage parent involvement to share the role in decision making to form positive and trusting bonds. Communication, sharing ideas and knowledge are key aspects in ensuring parents and staff form a strong partnership at our centre. At Little Darlings Early Development Centre, We believe that children’s learning is dynamic, complex and holistic. Physical, social, emotional, personal, spiritual, creative and linguistic aspects of learning are all intricately interwoven and interrelated. We believe that play based programs provide the optimum environment for learning, providing children with stimulating indoor and outdoor environments. Children learn best when they take an active role in constructing their knowledge when they are given time to learn, explore and extend on their interests to encompass their capabilities. Staff ensure that they are continually improving their standard of care through professional development and are always striving to achieve in providing excellence in care. Feel free to drop in and visit or call for more information.